The last decade ushered in tremendous changes to mobility. Just consider the fact that a majority of businesses in the U.S. now dedicate up to a fifth of their IT budgets for mobile initiatives, according to a recent study by IDG Enterprise. The public sector similarly experienced a major increase in mobile adoption due, in large part, to the White House’s 2012 Digital Management Strategy. The strategy focused on two overarching goals related to mobility: enabling citizens and an increasingly mobile workforce to access government information and services anywhere, anytime, on any device; and to ensure government procures and manages devices, applications and data in smart, secure and affordable ways – and uses them to spur innovation. 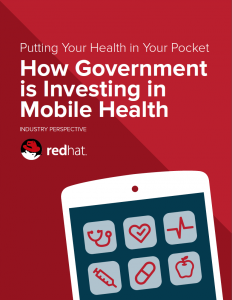 In our new report, Putting Your Health in Your Pocket, How Government is Investing in Mobile Health we spoke with RedHat Mobility Specialist Josh Bentley about how government is responding to the mobile health expansion. 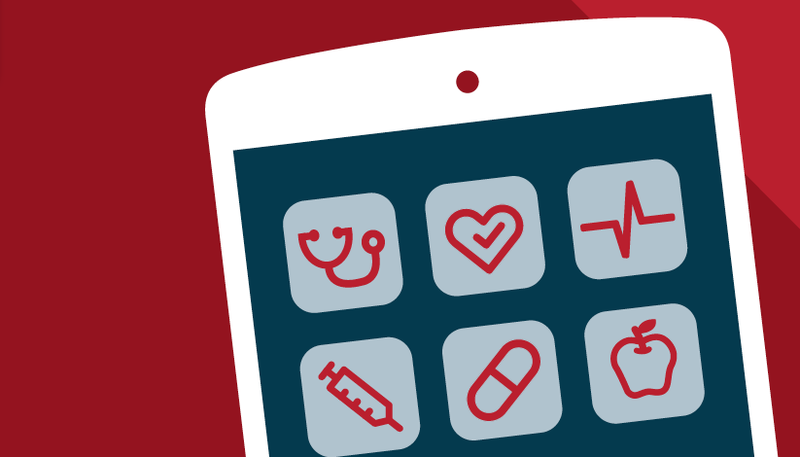 It’s not just IT investments and mandates that are making mobile health applications a reality. Bentley noted that the general digital intelligence of doctors and patients alike is helping with that growth too. With an increasing number of tech-savvy citizens driving the demand for more robust applications that can actually track and monitor patient health data, an abundance of new opportunities for developers to create a range of innovative apps exists. For example, due to the increased mobile adoption of patients, the VA is able to successfully leverage its caregiver app so that patients can chat with doctors without calling the office or logging onto a desktop. Finally, the emergence of big data analytics solutions allowed the government to help doctors sift through all of the data that is coming in from these mobile devices. 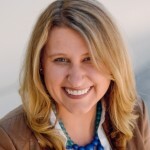 “The VA has one of the largest Electronic Resources Management (ERM) systems in the world. Their backend system has so much electronic health record data that it’s one the truest examples of big data out there,” said Bentley. In fact, the VA has so much data that its records can also be a benefit to other agencies. “The VA can take the power of analytics and give that data to all the other organizations. However, the data collected by the VA doesn’t just stay in the VA’s data coffers. For example, if the Department of Health and Human Services is looking to build an urgent care facility in a new region, HHS can use VA datasets on where the most in-need veterans are located to help inform the decision,” said Bentley. To help with collaboration, HHS created the Health Data Initiative. The initiative aims to make health data openly available, disseminate the data broadly across the health and human services ecosystem and continuously educate internal and external participants about the value of data. Right now the site is home to more than 2,000 datasets on topics such as Medicaid, community health and Medicare costs. Just because the government market is ripe for mobile health applications, however, doesn’t mean the move to mobile is an easy one. In fact, there are plenty of obstacles – secure data access being one of the largest. To learn more, download our new report, Putting Your Health in Your Pocket, How Government is Investing in Mobile Health.